WickerWoman.com contains intellectual property owned by The Wicker Woman®, including trademarks, trade dress, copyrights, proprietary information and other intellectual property. 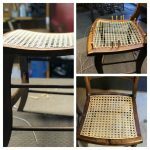 Most of the material on WickerWoman.com is provided free of charge for primarily U.S. based viewers to read and to use in the pursuit of gathering information about chair caning and other seat weaving, wicker furniture repair, basketry and other similarly related topics of interest. However, the photographs and materials contained in this website are copyrighted and the name and logo protected by federal and/or state trademark registrations. 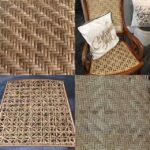 The Wicker Woman® maintains all ownership rights in these materials. The Owner grants you a non-transferable non-exclusive right and license to use the information provided here for your own personal use or for use by your business, but strictly for information purposes only. You may NOT copy, reverse engineer, upload, modify, make derivative works from the materials on this website, or publish, market, sublicense of market said materials, or post images from our site to any third party website including social media. 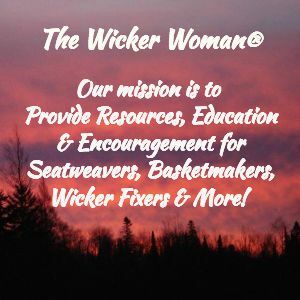 External links to any portion of this website must be authorized in advance by The Wicker Woman®. You may print a copy of the information contained herein for your personal use only, but you may not reproduce or distribute the text or graphics to others, nor may you copy the information on your own server, nor link to this website, without prior written permission of The Wicker Woman®. Use and reproduction of documents and related graphics available from this website is limited to personal, non-commercial use; reproduction for any other purpose is expressly prohibited by law, and may result in civil and criminal penalties. Violators will be prosecuted to the maximum extent possible. You may not modify, publish, transmit, participate in the transfer or sale of, create derivative works from, distribute, display, reproduce or perform, or in any way exploit in any format whatsoever any of the WickerWoman.com content, in whole or in part without our prior written consent. We reserve the right to immediately remove your account and access to WickerWoman.com, including any products or services offered through the site, without refund, if you are caught violating this intellectual property policy. 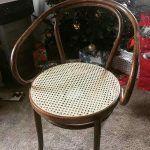 This website is managed by wicker repair, chair caning expert and antler basketmaker Cathryn Peters, who makes no warranty regarding the content of this website, nor will assume liability for any loss, damage or injury arising from information found on this site. Articles written by Cathryn Peters reflect her own opinions and are based on her personal hands-on experience and knowledge gained over the last 40-plus years. 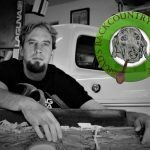 Each viewer is reminded to use their own best judgment regarding following any and all advice, instructions or suggestions found on WickerWoman.com, and that doing so is at their own risk. 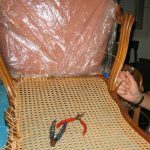 This site makes the Chair Caning & Seatweaving forum at http://disc.yourwebapps.com/Indices/220033.html available to its users. Please remember that any information that is disclosed in these areas becomes public information and you should exercise caution when deciding to disclose your personal information and/or follow advice or suggestions made there also. Whatever you send to Cathryn Peters via WickerWoman.com, you agree that it can be used on the website or in any other future publication without any compensation to you, from Cathryn Peters or WickerWoman.com. If you do want compensation, consider any positive mention of you or your website by Cathryn Peters through WickerWoman.com or any advice or knowledge you take away from visiting the website or from a reply sent to you that it is payment in full.